There’s one space in our home that if it’s out of control and not organized, my husband starts to get a little crazy. My sore spot is the kitchen, his is the garage. So when I asked him how he felt about doing a garage organization DIY project, he was all for it. Between the bikes, the gardening tools and the sports equipment, our garage can get out of control! 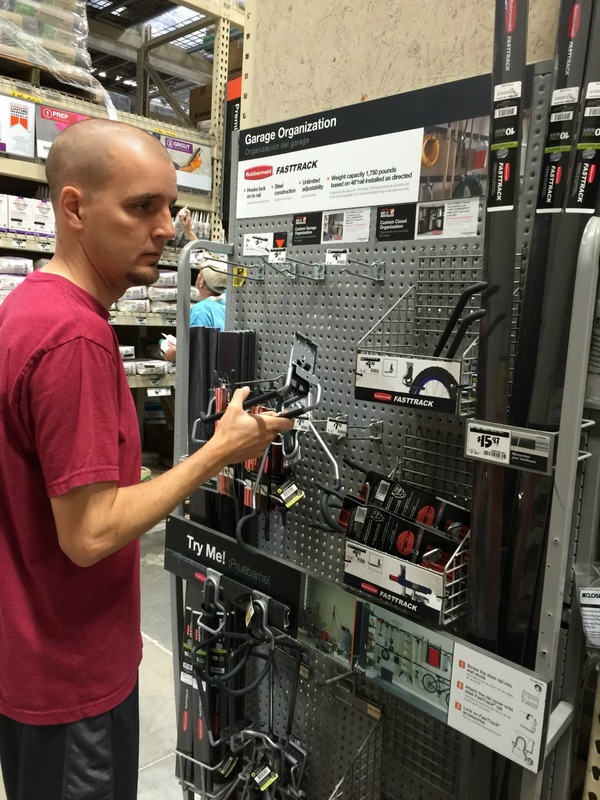 A couple of Saturdays ago, we headed over to Home Depot to check out the Rubbermaid FastTrack Garage Organization System. One of the rules of organization is to think vertical. To use your available wall space so the room works for you, not against you. (Can you tell I used to own a professional organizing business?!) The idea of using the wall space in our garage was very exciting because that meant getting those tools, bikes and balls off the floor! The project is coming along really well. We’re almost finished and we both already feel a sense of calm and peace when we walk through the garage. Garages in Texas usually aren’t just garages. They’re hang out spaces as well. Ours serves as not only storage, but my youngest son and his friends often hang out in there, plus we have a dart board set up for entertainment. It’s important to not only have a cleared space so everyone can move around comfortably, but also a safe space. 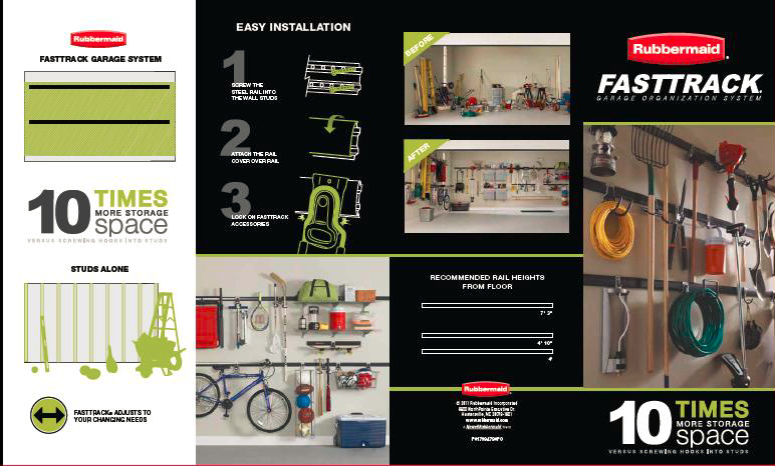 Using our wall space to store items like tools and gardening supplies gets them up and out of the way. Which means I feel better about my son and his friends using that space to hang out and talk about their next bike trick, girls and how their parents are driving them crazy. Is your garage a constant stress and sore spot in your home? Our homes should be a place where we feel at peace and often times that can start with getting it organized. 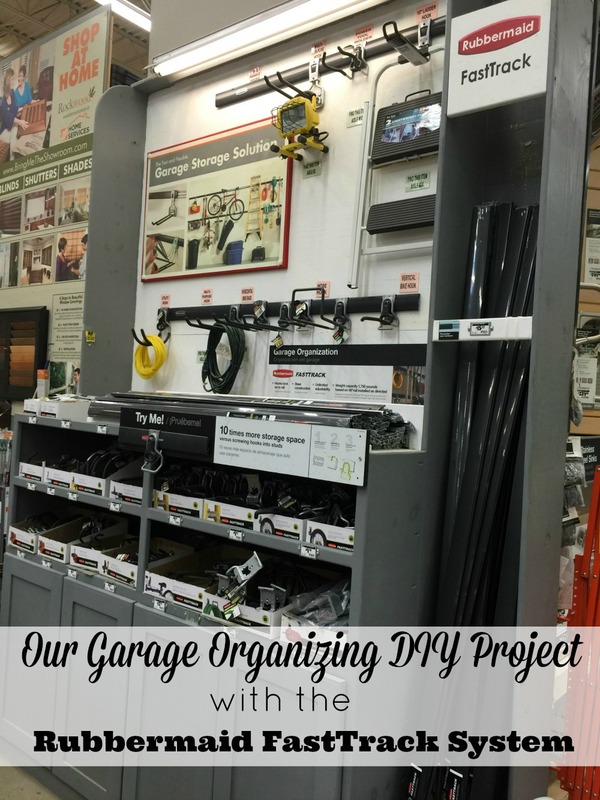 Stay tuned for the before and after of our Garage Organization DIY project! 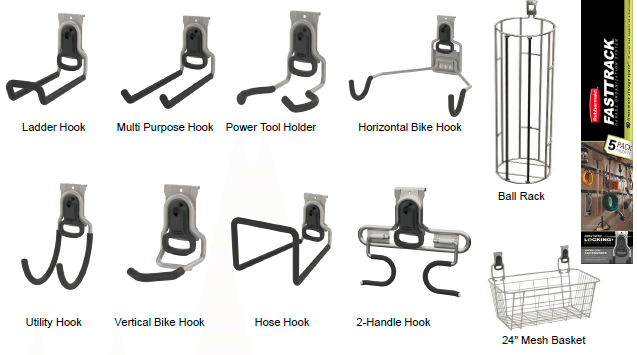 Visit here to find out more about the FastTrack system. Next articleeShakti Launches New Lines, Plus $35 Coupon Code for Mom Fabulous Readers!